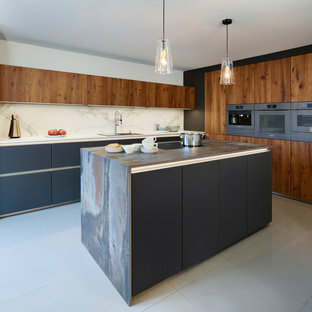 The full D² kitchen display is handleless to maintain a sleek, streamlined aesthetic. 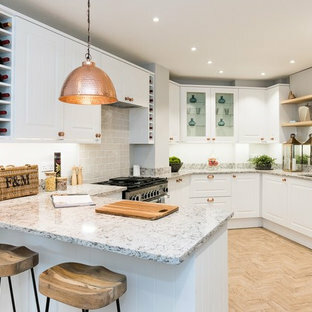 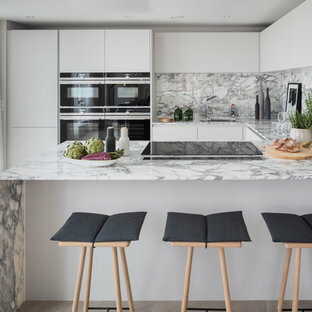 To give the design personality and some additional visual impact 2 distinct worktops are used on the island and backsplash. 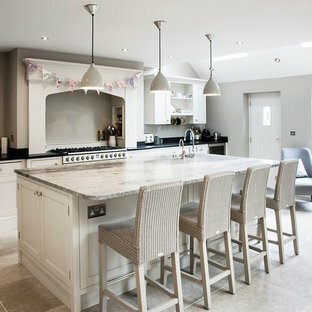 Framed Shaker kitchen with cockbeading painted in Little Greene 'Basalt'. 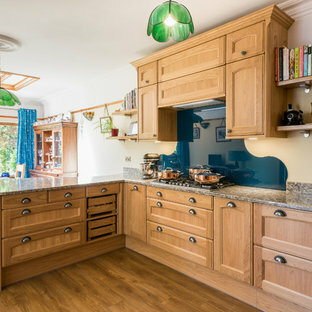 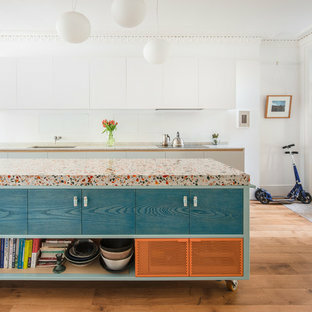 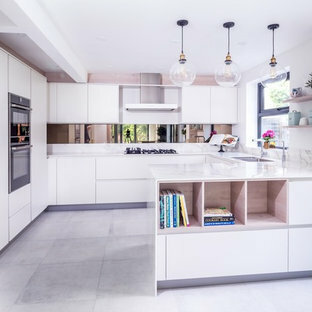 Worktops are Fusion Blue Granite Splashback: Travertine tiles Photo by Rowland Roques-O'Neil. 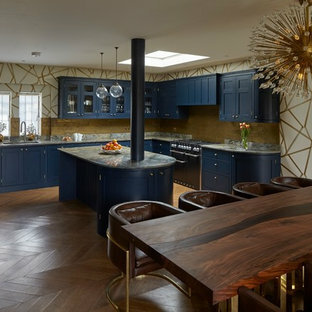 Oak-panelled restoration in 18th Century manor. 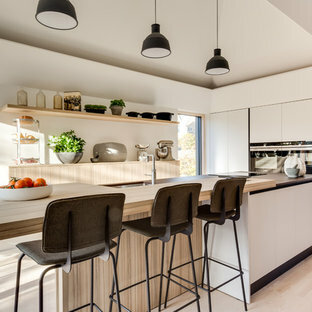 Arched valances above the window and on the island bookshelf, along with the curved custom metal hood above the stainless steel range, contrast nicely with the overall linear design of the space. 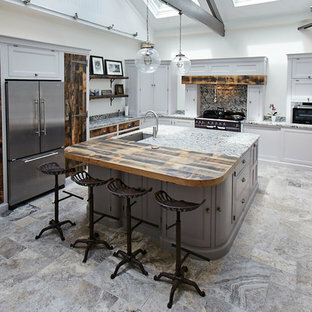 The leaded glass cabinet doors not only create a spot to display the homeowner’s favorite glassware, but visually it helps prevent the white cabinets from being overbearing. 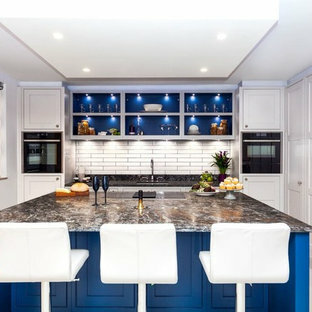 By installing recessed can lights uniformly throughout the space instead of decorative pendants above the island, the kitchen appears more open and spacious.